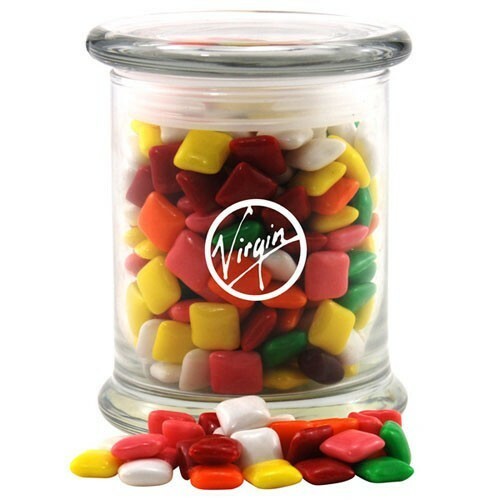 Glass jar with glass top filled with Mini Chicklets Gum. Imprinting Information: (One color imprint only) Set-up $50(V) per location. additional location running charge $.50(V). Re-order set-up charge $30(V) per location. (Run charges apply).